Today the last bean was cut…..and the process of cleaning up the combine and putting the header back in the shed has begun. Can I get a HALLELUJAH? Harvest is a farmers favorite time of year and at times I think its a farm wives least favorite (maybe equal to planting). Or maybe that’s just me. Harvest is over which means my husband is more available. Or at least I like to think he is 🙂 . There is something spectacular about watching a combine in the field. An entire corn stalk is passed through the corn head, shelled, and shredded and all that remains in the hopper at the end is a kernel. I am not a mechanically inclined person at all and still don’t understand exactly how the machine does it, but it is sooooo fascinating to me. It’s amazing technology! 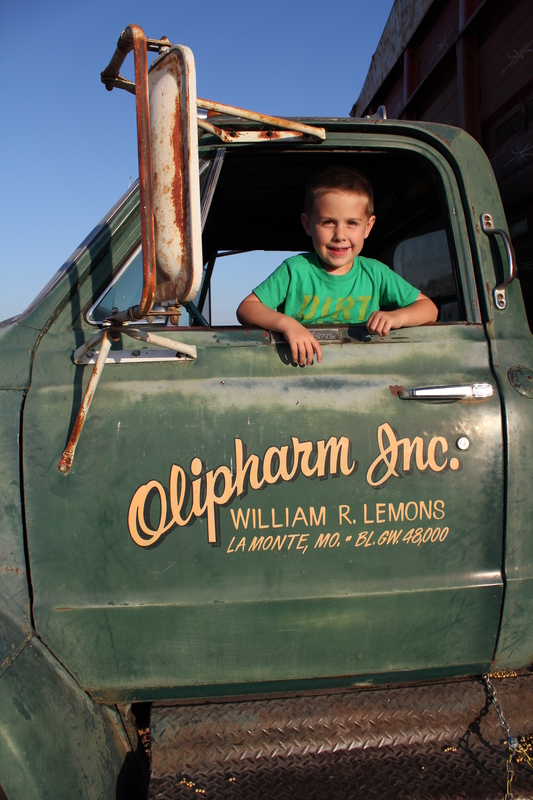 Most children grow up not knowing where their food comes from or the process behind it. My children will. It is something I am so passionate about. There are to many out there who are against GMOs or chemicals or just modern technology used to keep their stomachs full, clothed and alive. It is important we teach our children that there is more to the process and these advancements are necessary to advance agriculture into the next century. Grady is three and when we were stocking the freezer with beef last weekend, he fully understood that one of our animals was what was being put into the freezer. To me that is great. Whether it is harvesting corn, beans, or cattle it is important. It is amazing. Each time I see the combine I feel so blessed. So blessed to be part of something that seems so little to most around us but is something so big to us. My favorite view is the combine off in the distance cutting beans and the sun setting behind it. So I dare you to thank a farmer. Thank them for what they provide for you. Give them the common courtesy when you meet them on the road moving equipment even when it might make you late to whatever it is you are going to. They are some of the hardest working people you will meet. They are some of the most genuinely compassionate people you will meet. 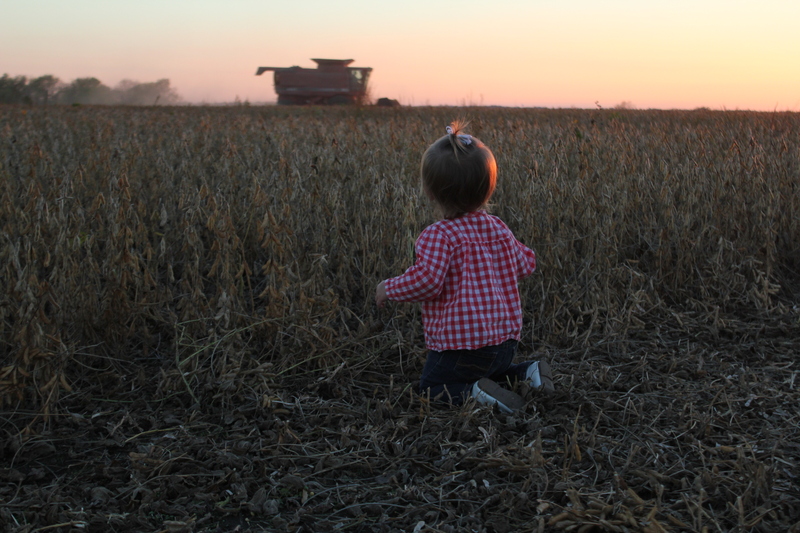 While you are sitting at home during a fall evening there are many families out there in the field up until the early hours of the morning harvesting something that they grew not only for themselves but for YOU. 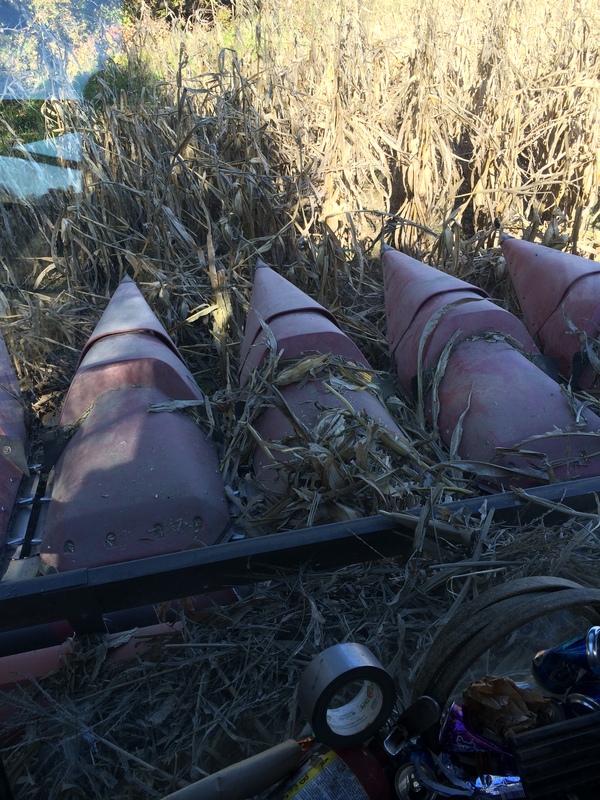 So now that Harvest 2015 is in the books planning for Planting 2016 has begun. In the mean time we pray the winter isn’t to rough and we have enough hay to feed our cattle to keep them healthy and alive. Farmers are on the job 365 years a day. Each animal they have is essentially like a child. They do anything in their power to keep them healthy and thriving once again not only for themselves but for YOU. The next time you pick up your fork to eat a sirloin at your favorite steakhouse think of the many hours and days a farmer has spent behind just that single piece of meat. Know that they might not receive the largest profit from that single steak but even knowing that they still do what they can to maintain a healthy animal so YOU can enjoy a meal with family sharing and making memories. There are many memories behind that one steak. For me those are the days spent with my kids riding the ranger all over the pasture looking for new babies (again a great sight). 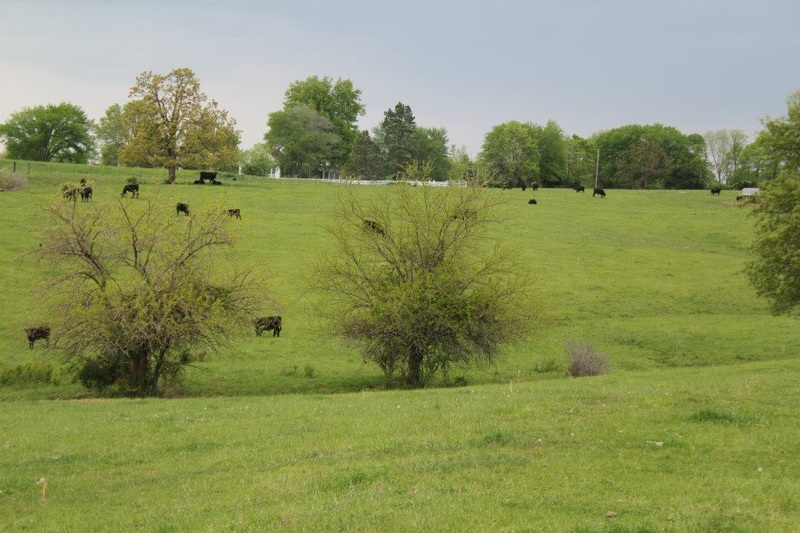 From our pasture or field to your plate…..we are grateful for the opportunity and we are proud to provide the harvest that helps you everyday of your life.